Sigma 2 Type 2's proven durability, reliability and appeal is confirmed by an extensive user base who demand a combination of maximum performance and true operational simplicity. SIGMA-2 is a self contained positive pressure breathing apparatus complete with PanaSeal positive pressure facemask in black Neoprene, moulded composite backplate with fully adjustable harness and infinitely adjustable Kevlar webbing cylinder band. The backplate is injection moulded from a mineral carbon filled anti-static polyamide composite material. The fully adjustable body harness is fabricated from a flame retardent Kevlar blend webbing. Buckles and fittings are injection moulded from a corrosion resistant polyamide. 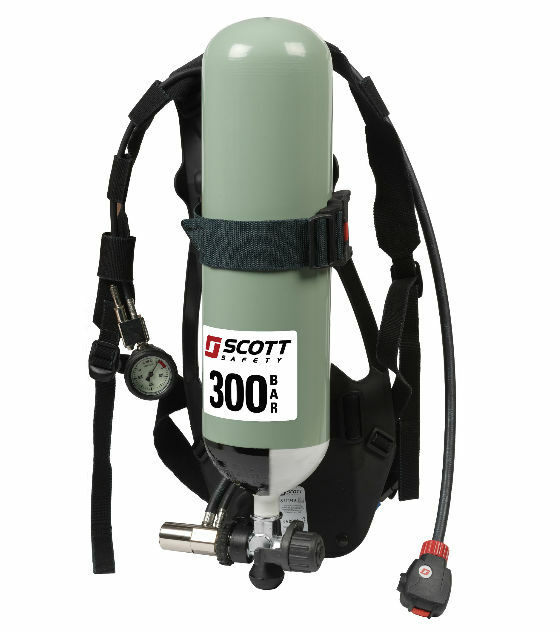 The two stage pneumatic system features a first breath activated positive pressure demand valve, a first stage pressure reducing valve with an integral 200/300 bar cylinder connector and a shoulder mounted pressure gauge with 55 bar whistle. 2026372 SIGMA-2-VIS (TYPE 2) SIGMA-2 with Vision 3 facemask. 2023034 SIGMA-2 (TYPE 2) SIGMA-2 supplied without facemask.